There Is This — Ginger writes. you can have it August and abundantly so. It seems that everywhere I turn, I am getting the same message: the little things are the things we have been given to love, and to love them is our very life. I love the fig bush by our gate and the figs on my tattoo. I love August (and July and June and May). I love the train I hear from our house. I love the texts I send and receive. I love my church and the Prayers of the People. Oh, how I love my church. I love Anne Lamott - need I even say that? I love making lists and marking things off. I love our family dinners each evening. I love the pens I write with. I love seeing how many eggs our chicken lay. I love the blue eggs the most. I love the blue Cadbury mini eggs the most too. 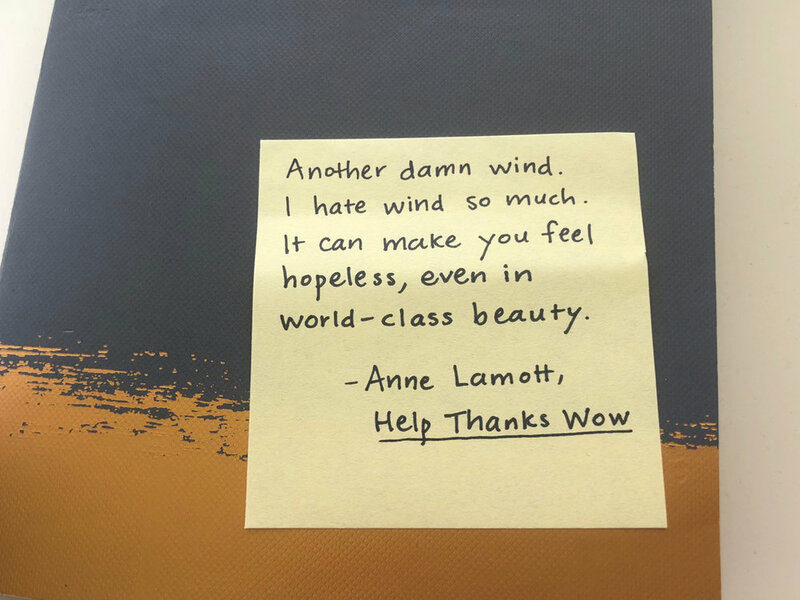 Can I just say I don't love the wind, or can I let Annie say it for me? I love busy days and I love slow days. I love the sun that travels 93 million miles to reach me. I love seeing Sailor run toward me when I pick her up at preschool. I love the way Story lights up when she reads out loud (all the time now! ), and I love when I pull into the driveway and see the boys playing basketball. I love how my friends care for me and influence me. I love my blue shirt from Michelle. I love the songs Janna sends me. I love the dark chocolate almonds Jill got me started on just the other day. I love that Ashley gets out of her car sometimes to talk to me about meaningful things or just mundane things in car line at school pick up. I love the two Sarahs in my life, and the two Kristys, and the other unique souls God has "given to me and to whom I've been given," as Richard Rohr likes to say. I love having people over for dinner. I love the lake. I love seeing the blue heron land on our dock. I love the fishermen out there fishing early in the morning and the skiers out there skiing late in the afternoon. I love how much Cash loves animals and how much Bauer loves football. I love that Story is taking ballet. I love that Sailor loves her blankies, and I'm trying to love that she changes clothes a dozen times a day. I love the rhythms of our church calendar. I love the new blue wall in our room. I love grapes, red and green, the firm ones. I love memes on Instagram. I love that I have friends who pray for me and a sister that answers the phone excited to talk to me. I love that I get TJ in this life. I won't get everything I want in this life, but I do want what I have. I am grateful for being alive, for getting to see and know what life on this earth is like, for knowing that I was picked for my part, for getting glimpses of heaven on earth in community with others, for having hope, and for knowing that winter will always, always be rewarded with summer. There is this, and this is enough.